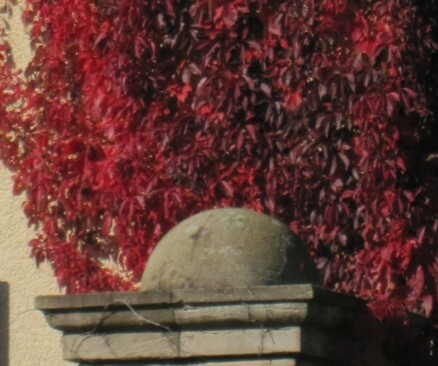 Creepers and vines climb on walls and shine replete with shades of red in the golden October sun. So, I chose the creeper leaf and a bunch of grapes for October. Originally the leaf shape measures 10 cm in the width and 9.5 cm in the height. Narrowed or enlarged shapes are also suitable. Originally the bunch of grapes shape measures approx. 8 cm in the width and 6 cm in the height. 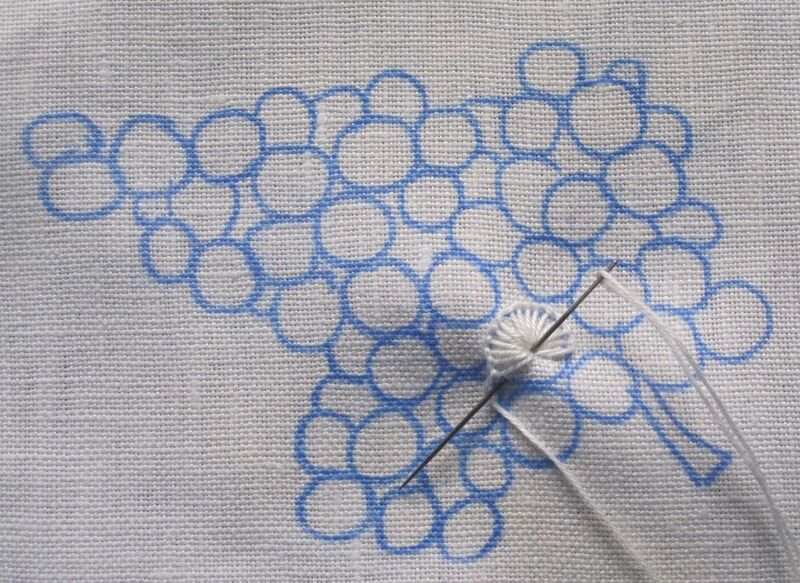 Small circles, here representing grapes, are perfect and easy to embroider; they can be stitched with Blanket stitch eyelets. 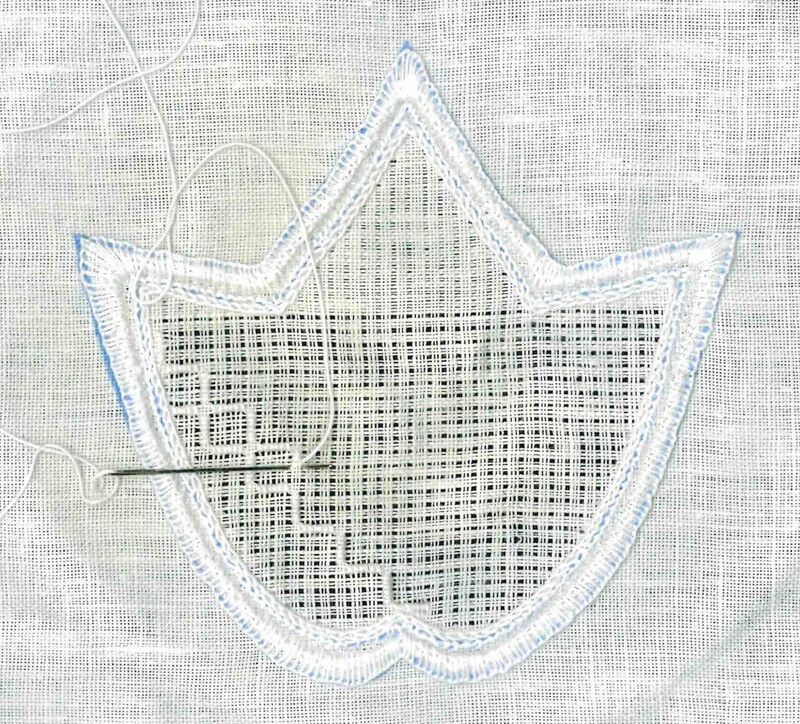 Using this stitch facilitates cutting out the shape later, because it does not need to be secured with an additional Blanket stitch edge. First, the line drawing has to be transferred onto paper using an iron transfer pencil. 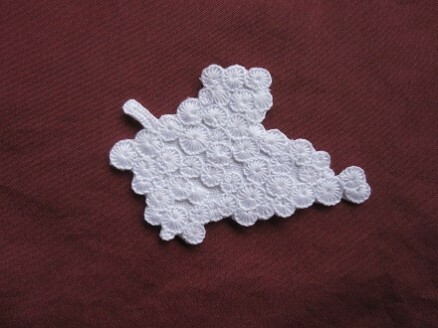 Please note, that the shape ends up mirrored when ironed to the linen. 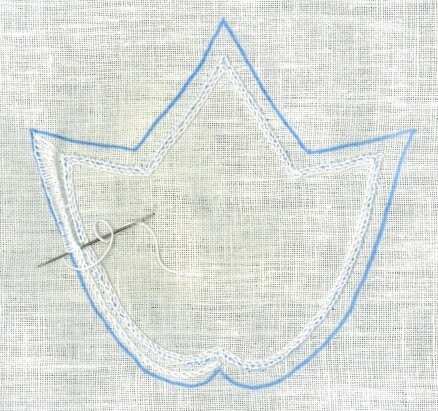 On Weddigen linen, 20/cm thread count, Blanket stitch eyelets, using Coton à broder No. 25 were worked into the circles. All circles were filled. 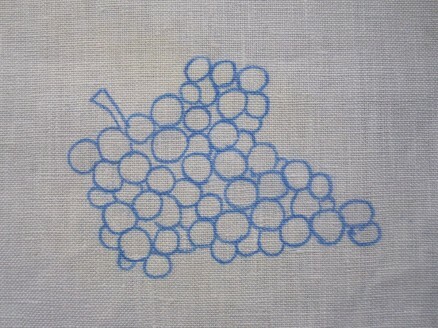 Small areas between “grapes” remain free, but partial “grapes” are embroidered. 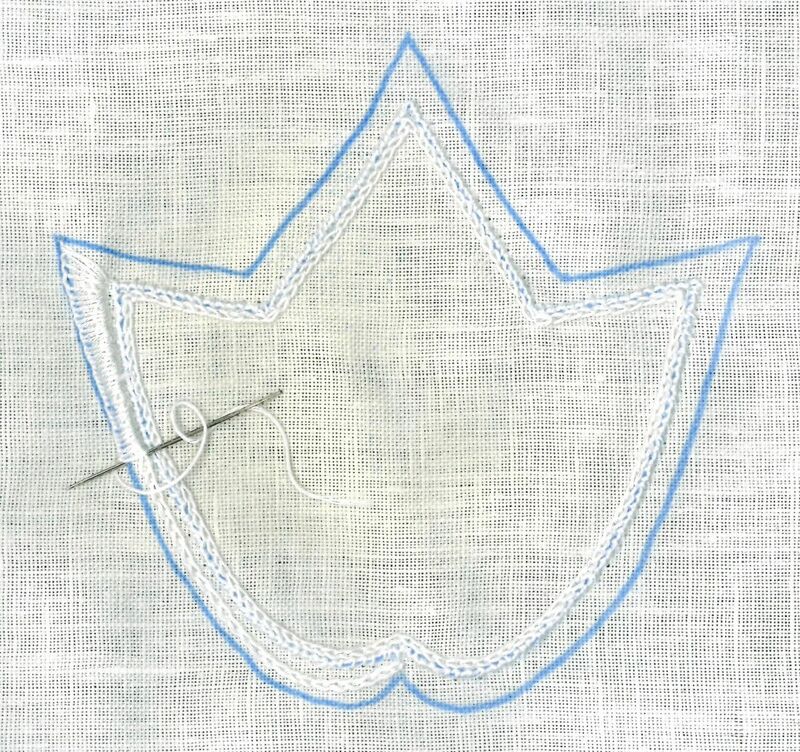 The stem is outlined with Blanket stitches. 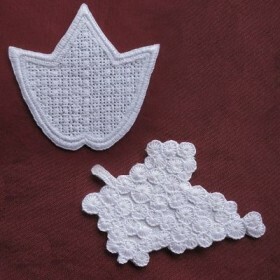 The leaf shape needs a Blanket stitch edge for securing the fabric from fraying. 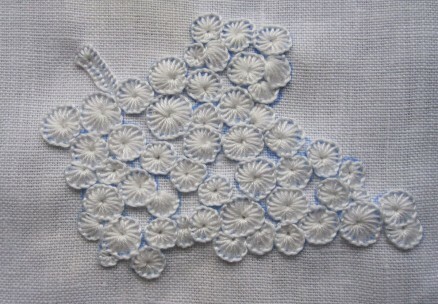 So, on Weddigen linen, 20/cm thread count, Coral Knot stitches are worked along the inside line using Coton à broder No. 20. Using Coton à broder No. 20 for both, Chain stitches are worked a small distance outside the Coral Knot stitches. The Chain stitches are covered with densely worked Blanket stitches. Using Coton à broder No. 30 Chain stitches are worked directly inside the Coral Knot stitches. The shape was filled with the Limet filling pattern 469. 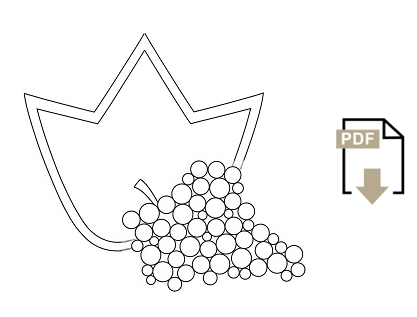 Many other filling patterns are also suitable for this motif. 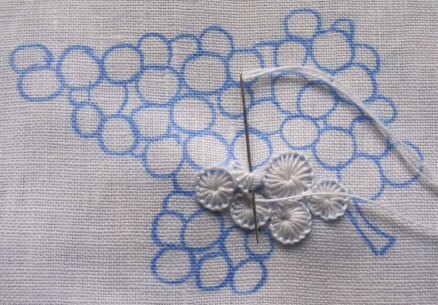 I wanted to achieve a delicate appearing pattern, so I chose fine linen. 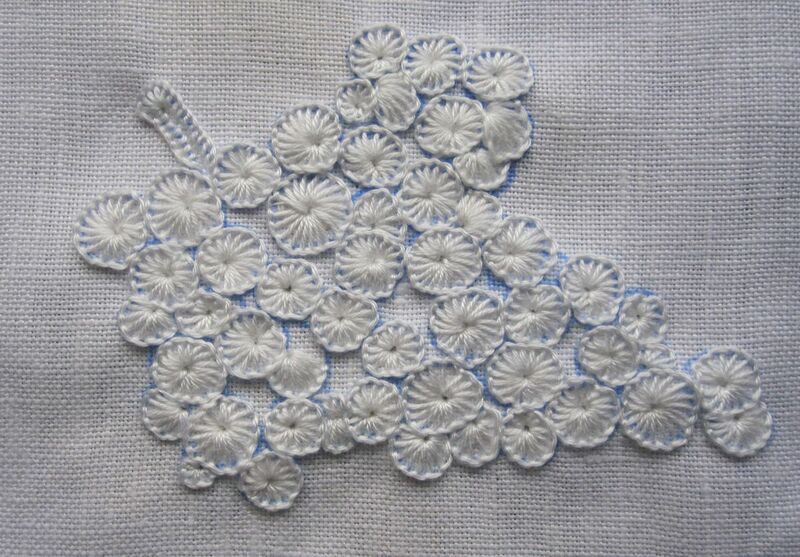 After finishing, the embroidered piece was washed (boiled), starched and ironed. Then, the leaf and the bunch of grapes were cut. For cutting the small curves of the grapes, a sharp nail or very delicate embroidery scissors can help. If needed, such closely trimmed embroidery can be washed and ironed – quick and easy – at any time, but never spun in a washing machine! Beautiful, Luzine! I really like this filling on the leaf – and the grapes are wonderful. 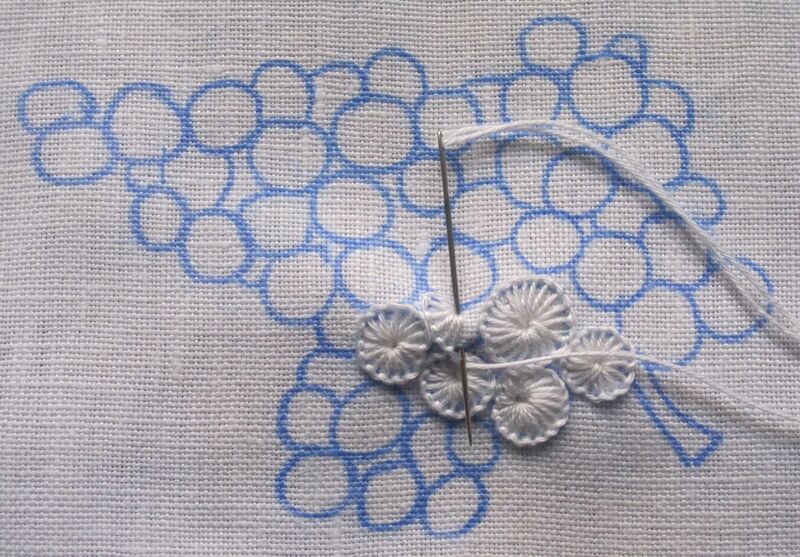 I wasn’t sure how well I’d like them in the buttonhole stitch circles, but once I saw them cut out, I loved them. Thanks, as usual, for such nice tutorials! Your are right. 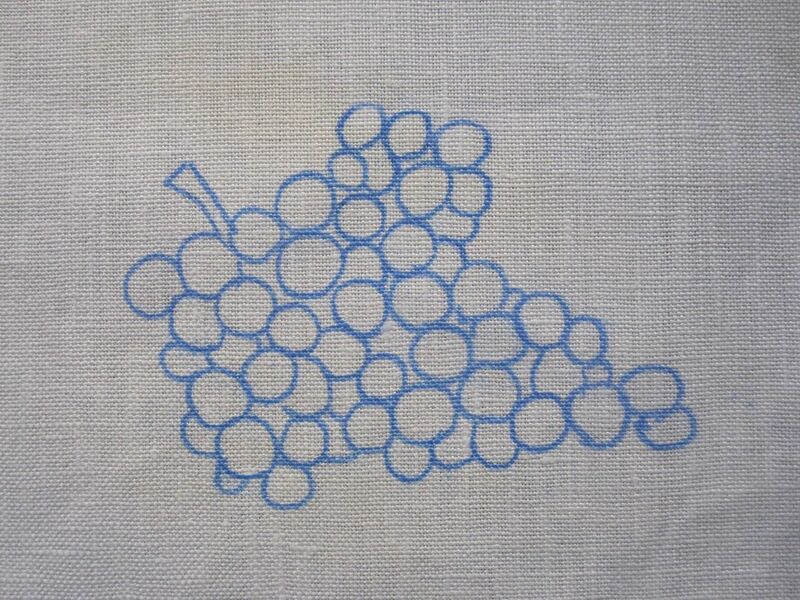 At first I thought to embroider the grapes with underlaid Satin stitches. 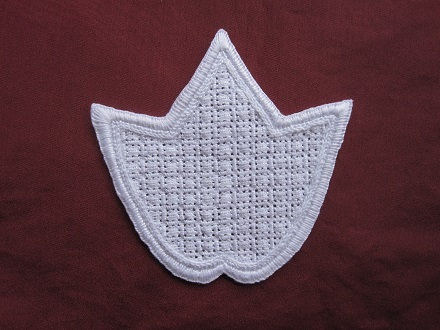 But Satin stitches must have a Blanket stitch or Buttonhole stitch edge for cutting. To get this nicely for small grapes is not easy. So – after working with different grape sizes and different Stitches – I decided to use Blanket stitch eyelets for the small bunch of grapes. 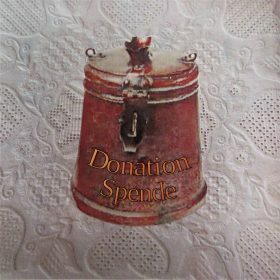 Thank you for your comment – you are always welcome!